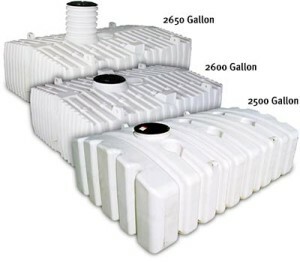 AllTanksCom LLC sells a huge selection of quality holding tanks to meet your plastic water storage tank needs. We stock a large quantity of above ground and below ground holding tanks, designed as a rotational molded polyethylene product. These tanks are made of NSF 61 and FDA resins, and primarily used for water storage, both non-potable and potable drinking water. They are commonly used as RV water tanks, marine holding tanks, and sewage holding tanks to store black water and grey water. Whether you need an RV portable holding tank or a black water holding tank, we’ve got you covered.